First of all, we would like to say thank our community to be patient and understand the timings. You have been waiting for this day to come and has arrived! Please be aware that tokens will be distributed in stages therefore DO NOT panic if you do not see your tokens immediately after the indicated time. You will receive the Tokens in your dashboard and we want to make sure you are ready for the distribution, so here are the steps. If your KYC is rejected, we will refund you the contribution. Once we have distributed all the tokens, you will be able to download Amon wallet APP for iOS and Android or you may just use a web version. In your wallet you will find your AMN Tokens and you will be able to receive/withdraw AMN, ETH and BTC. The use of the wallet is allowed only to people that contributed to the ICO, new sign ups at the moment are not allowed. 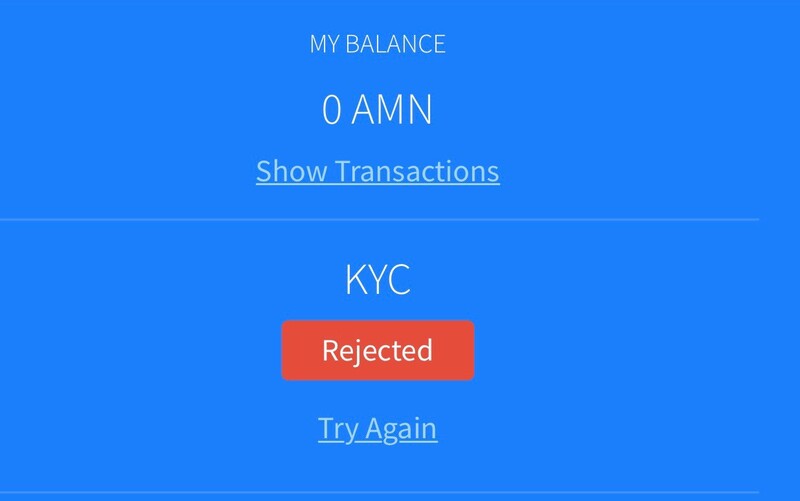 If you would like to withdraw your AMN Tokens, navigate to the tab “Send”, then scan or type manually the destination address, select the amount and confirm the transaction. Important Note: We have seen that despite expressly mentioned in our T&C, at the moment of the registration of the Token Sale and in our communications, citizens of US and China tried to contribute in the ICO. As we said in our communications these persons will be fully refunded and will not receive AMN tokens but they will receive their investment back.